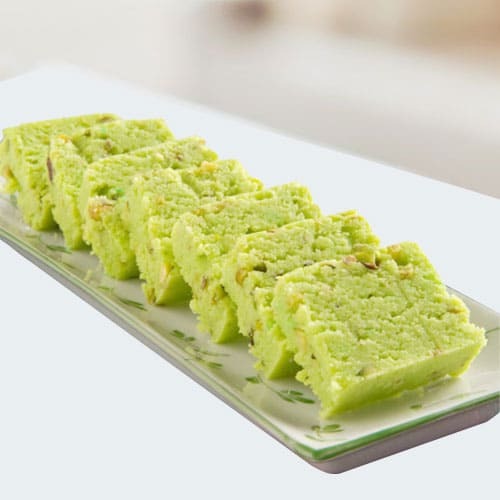 Mawa Pista Barfi 1/2 kg (Gross Weight) from Haldiram.A pack of truly tempting and fresh Kesaria Mewa Barfi from Haldiram.A perfect way of sending good wishes to your friends and Family. Mawa Pista Barfi from Haldiram. 1 kg (Gross Weight) A pack of truly tempting and fresh Kesaria Mewa Barfi from Haldiram.A perfect way of sending good wishes to your friends and Family.